‘Tis the Season for Gift Cards! I find that I give more and more gift cards every year. I love to shop for THE perfect gift, but sometimes it just doesn’t happen. I might as well dress up that gift card up in something darling! How’s this? It’s Christmas and I like glimmer. 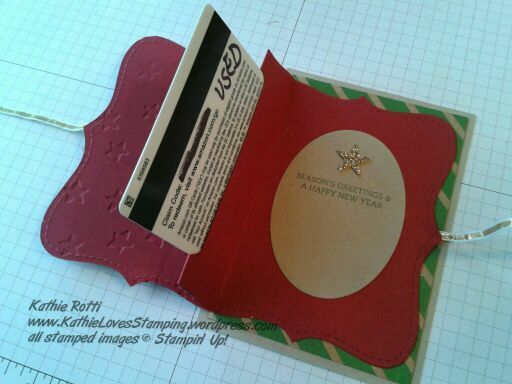 I decked this gift card holder out in some champagne glimmer stars and gold ribbon. 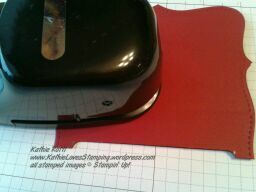 The stamp is from Christmas Bliss (a photopolymer set found in my Stampin’ Up! store). This card is notecard size (3 1/2 x 5″). It uses the now often neglected top note die. 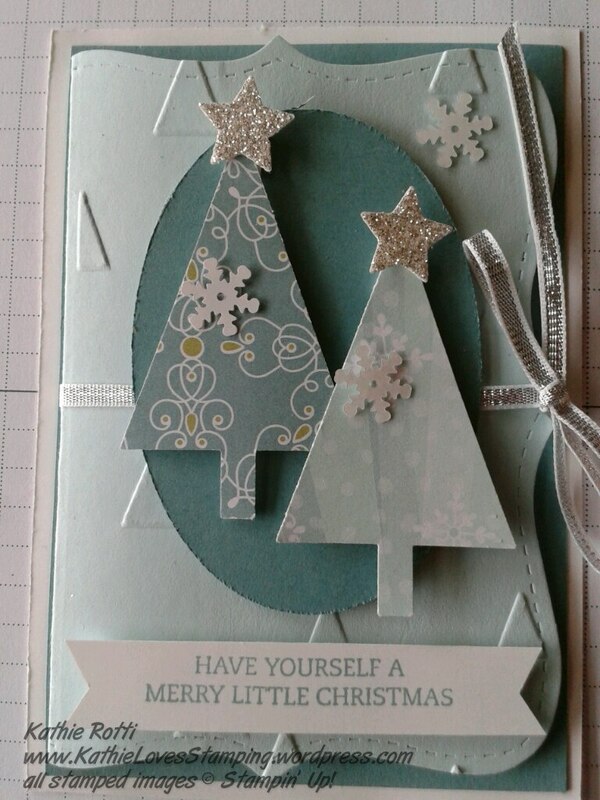 I give credit for the card to Linda Heller of Stamping School, although I changed up the colors and used stars. Don’t you love it???? It was quite easy to make. 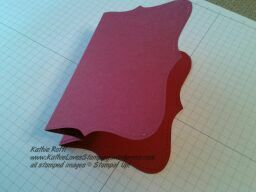 The Top Note piece was cut from a piece of Cherry Cobbler cardstock 5 1/2″ x 8 1/2. Scored at 3 1/4″, 4 1/4″ and 5 1/2″. 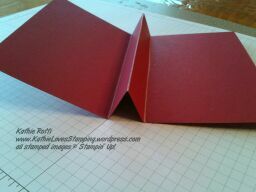 Fold accordion style, with center fold up. I wanted the holder to fold, so I took care that the accordion folded edge did not cut. (The white on the die below is there just for a visual.) 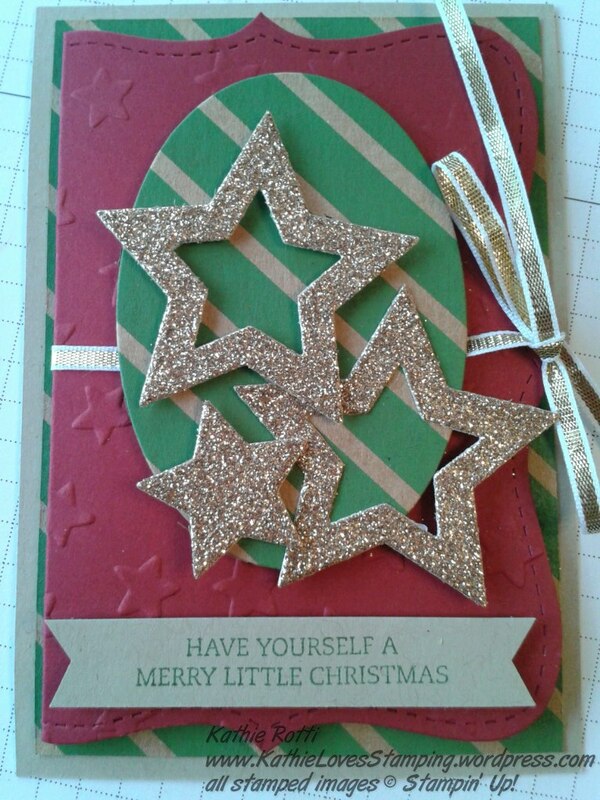 I embossed just the front with the Lucky Stars Embossing folder. 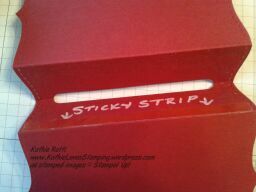 I measured how much needed to be punched away with the Word Window Punch to accommodate the gift card. 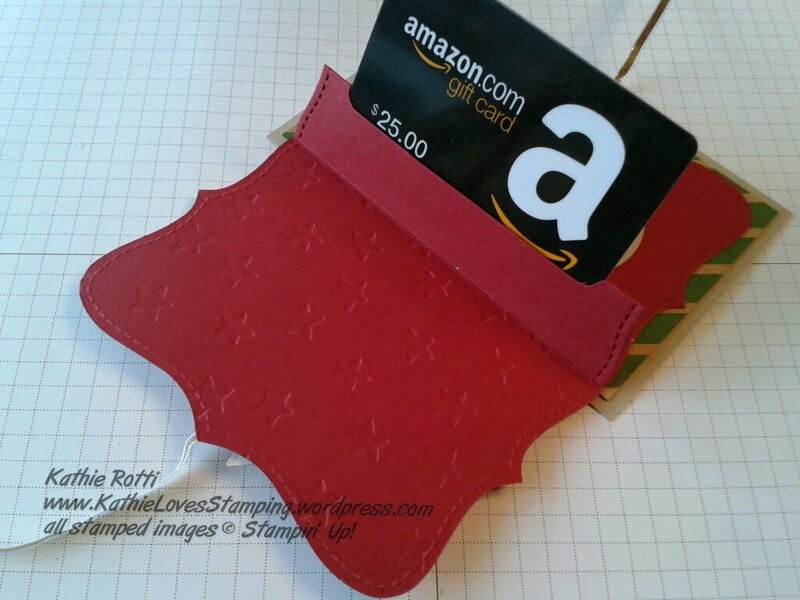 A piece of sticky strip, along the outer fold edge, insures the gift card fits snuggly. 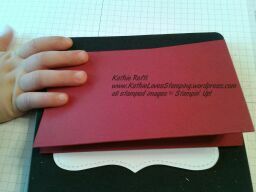 The base of the card is Crumb Cake cut 5 x 3 1/2″ (or use. 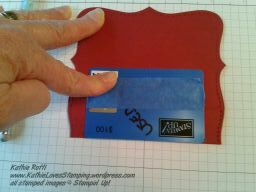 The next layer is 4 3/4″ x 3 1/4″. 16″ of ribbon ribbon lays on next. 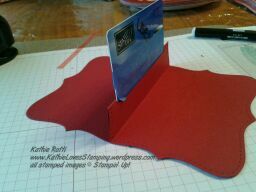 Glue on the gift card holder and adorn. I hope you like it as much as I d0! Think of all the variations you can make! … and here Linda’s card I CASEd.